Madison — As the budget stalemate drags on between unions and Gov. Scott Walker over his plan to repeal most public worker union bargaining rights, the National Guard has toured at least one state prison in recent days. Last week, a half dozen National Guard members in plainclothes toured Redgranite Correctional Institution, said Lenny Wright, president of the AFSCME Local 281, which represents the prison’s correctional officers. Walker spokesman Cullen Werwie initially said the National Guard had not visited Redgranite, but half an hour later confirmed it had happened. He described the visit as routine, saying unit commanders regularly visit prisons to understand how they operate. “It wasn’t any specific contingency planning,” he said, referring to any possible strike. Wright said prior to the tour he had already told the prison warden that his union local would not strike or have its members call in sick to disrupt security at the prison. But Wright said that the National Guard members had toured the prison with its security director and that he believed the purpose of the tour was to make sure the National Guard was ready to take over in the event of a strike. “They were in plainclothes but they were there,” Wright said. Daniel Meehan, president of the union local at Waupun Correctional Institution, said he’d heard the National Guard visited Redgranite and another facility in recent days. Meehan said correctional officers – likely hundreds of them – would come to the Capitol in uniform to protest the bill. He said no officers would miss work for the protest, but those on vacation would come. Walker has said that the National Guard is ready to deploy if needed to step in for essential public safety workers who don’t show up for their jobs. A spokeswoman for the state Department of Corrections could not be reached immediately Monday for comment. Lt. Col. Jackie Guthrie, spokeswoman for the Wisconsin National Guard, said the National Guard does routinely visit Wisconsin prisons to prepare for providing “essential services” in the event of a work stoppage. Guthrie emphasized that Walker had not called up or deployed the National Guard. Also on Monday, Senate Majority Leader Scott Fitzgerald (R-Juneau) threatened to force a vote soon on a bill that would require voters to show ID at the polls, in a move meant to lure Democrats boycotting the Senate back to Wisconsin. The move is the latest pressure point Republicans are talking about pushing to end a standoff over a bill that would take away union rights from most public workers. Senate Democrats vacated to Illinois on Thursday to prevent a vote on the bill, and they’ve been there ever since. The Capitol drama is moving into its second week, as protesters again fill the rotunda and Capitol grounds. Monday’s protesters were dominated by those opposed to the bill, after a weekend on demonstrations that also drew bill supporters to Madison. While Fitzgerald raised the possibility of passing the photo ID bill, absent Senate Democrats have their own leverage against Republicans. The bill on union rights is included in a sweeping budget repair bill that also includes a $165 million bond refinancing that must be acted on by Friday to make sure the state meets its bills in the fiscal year that runs through June 30. Without this refinancing element, the state would have to take other steps such as cuts to health care programs to keep its budget balanced this year. Walker and other leading Republicans are holding firm despite the deadline. On Tuesday, the Senate will vote on measures to honor the Green Bay Packers and extend a dairy and livestock tax credit. Fitzgerald said the ID bill could come another day if Democrats don’t return. Without Democrats present, the Republicans have enough members to be able to hold votes on non-financial bills but not on a fiscal bill such as a budget. Republicans took control of the Legislature and governor’s office after the November elections, and they have widely been expected to pass the bill on photo ID. It is one of the more controversial measures that will be considered, and Democrats would want to show up to make their voices heard as the two sides disagree over the extent of voter fraud and the importance of preserving voter rights. Republicans have 19 seats in the Senate, but 20 votes are needed for bills that spend money. As written, the photo ID bill would need 20 senators present because it spends money to provide free IDs and for other purposes. But Fitzgerald said the bill could be changed to take out the spending elements. The Senate Committee on Transportation and Elections is slated to vote on the bill Tuesday after the Senate meets. Another committee is voting Tuesday to repeal a law that requires law enforcement officers to collect data on the race of drivers for every traffic stop. Democrats approved that requirement in 2009 to help determine if agencies are engaged in racial profiling. Fitzgerald floated the idea of passing the photo ID bill to reporters after a tense meeting of the Senate Organization Committee, which sets the Senate schedule. Senate Minority Leader Mark Miller (D-Monona) and Sen. David Hansen (D-Green Bay) joined the meeting by phone from Illinois. “You have shut down the people’s government and that’s not acceptable,” Fitzgerald scolded the Democrats. Just to state the facts. It is already a fact that Wiscionsin correctional officers have used sick time as a gimmick to illegitimately boost their salaries. So let us not kid ourselves that they’ll all be showing up with happy smiling faces to work all their shifts. At best, there is a lot of double-time and shift-juggling going on to keep the National Guard from taking over. Meanwhile, liberal doctors are violated their medical oaths and ethics to write bogus sick notes for thousands of teachers and yes – I don’t doubt for a second – correctional officers. There is a vile disease going on in Wisconsin that is actually far nastier than leprosy. It is called liberalism. It causes irrationality and the sufferer loses all moral intelligence. It is fatal to any society if enough people catch the contagion. Here’s just one example out of hundreds: Oregon Democrat David Wu. But just about every Democrat has the Kool Aid Crazy disease. And of course it’s not acceptable. These elected Democrats are undermining the democratic process. In a democratic republic such as we’ve had at least until the age of Obama, you show up and you vote. Democrats are undermining the democratic process and are in fact undermining the will of the people. But there IS an upside to the Democrats being vile and un-American piles of slime. It gives Republicans a chance to pass a ton of stuff. It will give Republicans their opportunity to pass my dream bill. Let me put it this way: if Republicans take back the country, and use reconciliation to impose the “Hunt Every Democrat Down With Dogs and Burn Them Alive” Act, do you want Republicans to be able to justify their actions by quoting Barack Obama? If people knew the truth, we would be hunting every Democrat we could find down with dogs and burning them alive. 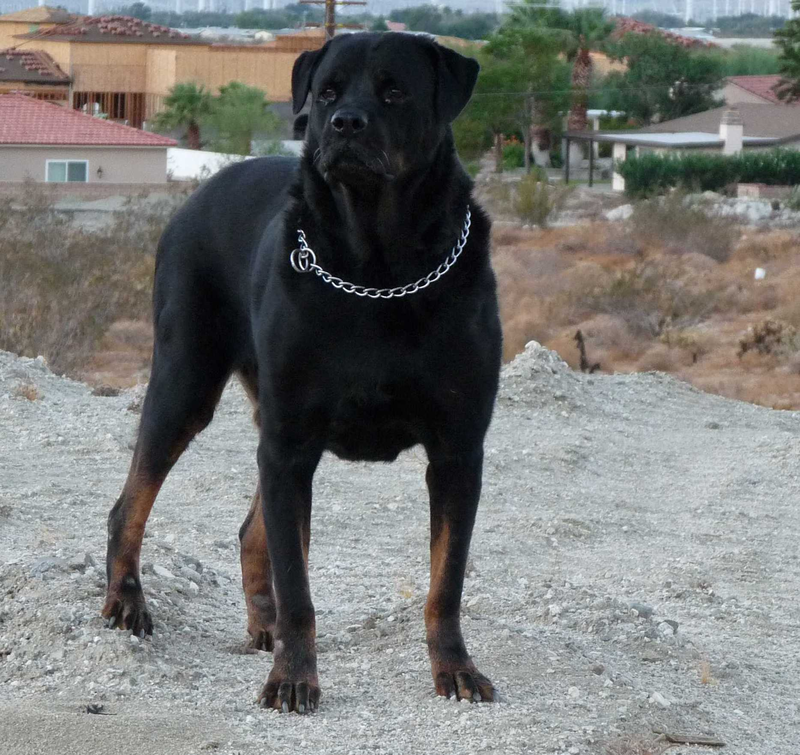 I wrote an article titled, “Why We Need A Rottweiler For President.” We might need our Rottweilers for other nation-saving tasks. Obviously, the Republicans aren’t actually going to pass the act I here jokingly suggest (and I’ll refrain from telling you if we’d actually show up for hunting season if they did). But the Republicans CAN pass A LOT of things that will make Democrats howl with outrage. And the funniest thing of all is that it will be their own damn fault that we passed them. This isn’t polite and high-minded civil discourse, because Democrats are no longer the kind of people one can have such discourse with. As we see above, Democrats are now the kind of people who cheat and lie as a matter of routine. It is nothing short of a war for America. And it is long past time that Republicans understood that in this “game” there ARE no rules. If they firebomb your cities, you firebomb there cities until they are afraid to firebomb your cities any more. If they try to pass a “Fairness Doctrine” to limit conservative speech, you pass a Fairness Doctrine that will limit liberal speech; and then you monitor the airwaves for content and you yank the right to broadcast from any television station that doesn’t have as many conservatives for as much time as it has liberals. If they try to massively expand the size of government with programs like the trillion dollar stimulus and ObamaCare, then you abolish every government department and bureaucracy that you can and you shrink the size of government twice as much as liberals expanded it. You beat them like dirty rugs, because you know that’s exactly how they will treat you the first chance they get. And the more you do to them when you’ve got the power, the less they’ll be able to do to you when they get power back. And you fight them the same way they fight you. And you keep fighting them that way until they maybe learn that Fairness Doctrines and trillion dollar stimulus and ObamaCare programs maybe aren’t such a good thing, after all. If Democrats want to play their un-American games and start a war, then let Republicans finally play and fight to WIN.